What is paragraph 322(5) and why is it used to refuse settlement applications? Why are these refusals controversial? Back in January, we wrote about the case of Dr Syed Kazmi, a foreign doctor due to be removed from the UK because of a “HMRC tax issue” disqualifying him from settlement. 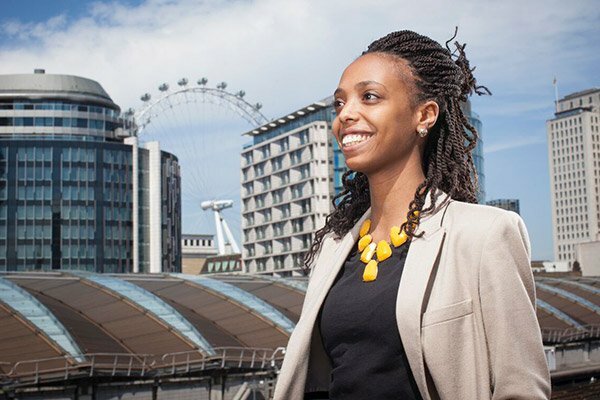 Since then, many more refusals of settlement applications by highly skilled migrants — declined because of discrepancies between immigration paperwork sent to the Home Office and tax information given to HMRC — have come to light. The issue has been widely reported in the media, most consistently by Amelia Hill for the Guardian, according to whom more than 1,000 highly skilled migrants have been refused on this basis. We have refused Tier 1 (General) applications under paragraph 322(5) where an applicant’s character and conduct call into question their desirability of remaining in the UK. In these cases, refusals have been given where there have been substantial differences – often tens of thousands of pounds – between the earnings used to claim points in an immigration application and an applicant’s HMRC records, without a credible explanation from the applicant. We take all available evidence into account before making a decision and each application is considered on its own merits. Pressure and activist groups, including the active Highly Skilled UK, would disagree. They argue that paragraph 322(5) has been used quasi-automatically, without consideration of the particular circumstances of each applicant, and regardless of the explanation given by applicants for their tax affairs. More promisingly, there is a review underway, although the holding line from the Home Office is that there is nothing to see here. The Secretary of State, Sajid Javid, confirmed on 29 May that decisions under paragraph 322(5) were on hold pending the outcome of the review. The cases we are seeing in the news mostly concern people with a visa in the old Tier 1 (General) category who want to settle in the UK. Tier 1 (General) was aimed at highly skilled migrants, who were able to take up employment or self-employment in the UK without having a sponsor. The route to settlement — also known as indefinite leave to remain — under this category closed on 6 April 2018. In other words, if you still have one of those visas, you can no longer use it as a stepping stone to permanently stay in the UK after five years. But many people have pending applications. Others have reached ten years’ continuous lawful residence in the UK and are applying for settlement on that basis. In both cases, applicants who previously declared different incomes as part of an application to the Home Office compared to what they declared to HMRC may see their bids for settlement refused. The same goes for applicants who amended their tax returns after submitting them. Some applicants, who are applying for settlement on the basis of five years’ leave as Tier 1 (General) migrants, are being refused on the basis that their past earnings were not genuine (as discussed in this previous post). But the cases making the most noise at the moment are refusals relying on paragraph 322(5) of the general grounds for refusal in the Immigration Rules. The effect of a refusal is often that the person concerned has no other way of legally staying in the UK and has to leave the country after many years living here. The Home Office line is that some applicants have either deflated their income with HMRC to pay less tax, or inflated their income with the Home Office to be able to be granted leave. Either way, this conduct means it is undesirable to permit them to remain in the UK. Paragraph 322(5) is a discretionary ground for refusal. This means that the Home Office is not obliged to refuse applications which could fall under paragraph 322(5), but instead has discretion to grant an application even when an applicant could be turned down under that provision. Many are arguing that the Home Office is refusing applications relying on paragraph 322(5) systematically. People are being turned down wherever they have previously declared different incomes or have amended their tax returns, without the Home Office judging each case on its merits. A more discretionary approach would consider each individual’s circumstances, including their explanations for the discrepancies, their “overall good character”, their family or private life in the UK etc. Failure to exercise discretion could be challenged in court. This legal argument would need to be tested with multiple cases heard together, or with one “test case”. Although I am aware some cases are being joined in the Court of Appeal, I do not think one “test case” has emerged as yet. Another argument is that paragraph 322(5) was not written to catch tax discrepancies, but was instead “designed to tackle terrorism and people judged to be a threat to national security“. A person does not need to have been convicted of a criminal offence for this provision to apply. When deciding whether to refuse under this category, the key thing to consider is if there is reliable evidence to support a decision that the person’s behaviour calls into question their character and/or conduct and/or their associations to the extent that it is undesirable to allow them to enter or remain in the UK. This may include cases where a migrant has entered, attempted to enter or facilitated a sham marriage to evade immigration control. I have not yet seen a case where this argument on its own succeeded. On the contrary, I have had sight of judgments by the Upper Tribunal saying that the Secretary of State is fully entitled to use paragraph 322(5) in these cases. On a more individual level, and linked to the discretionary nature of paragraph 322(5), some argue that genuine mistakes or explanations by applicants are not taken into consideration when refusing applications. These types of refusals typically arise when applicants have mentioned income from self-employment in a previous application to the Home Office where proof of earnings was important. Anyone familiar with accountancy and self-employment will know that earnings fluctuate and that they can be lawfully declared “tax efficiently”. The financial year runs from 6 April to 5 April, which will often be different to the 12-month period selected to show earnings to the Home Office. In other types of immigration application, the Home Office avoids any discrepancy between what is declared to it and what is declared to HMRC by asking applicants to submit evidence of their earnings for their latest financial year. But not in the process we’re talking about. Where applicants are free to choose any 12-month period, their earnings might widely differ from the earnings in the financial year. Now my tax returns to HMRC will show earnings of £8,000 in the year 2015/2016; and earnings of £28,000 in the year 2016/2017. If, though, I calculate earnings for the period 1 March 2016 to 28 February 2017, I can show earnings of £30,000. The difference in this example (between £28,000 and £30,000) is not huge. But I have seen refusals where it is bigger and the Home Office has questioned the genuineness of the declarations. In the same spirit, I might know that I have earned £30,000 between 1 March 2016 and 28 February 2017, which I declare to the Home Office, but when it comes to submitting my tax return after 5 April 2017, I am advised by an accountant that I can pay taxes on £20,000 only (I will not venture to give examples of when that would work because I am no tax expert!). Again, that would be seen negatively by the Home Office and used as a reason to dispute the genuineness of the earnings. Applicants also argue that they are not given a fair chance at explaining these discrepancy. While many (but not all) were invited to interviews, they complain that they were not told what the interview would be about, and were not not invited to submit further evidence explaining the inconsistencies with their tax affairs or more generally, their good character. Yet another argument, made by Paul Turner of Imperium Chambers among others, is that the Secretary of State should rely on paragraph 322(1A) or 322(2) if accusing an applicant of having made false representations for the purpose of obtaining leave. The Home Office is not using this paragraph, the argument goes, because they would then have the burden of proving dishonesty. Relying on paragraph 322(5) instead, the Secretary of State simply needs to show that the applicant’s past conduct or character makes it undesirable for them to remain in the UK. Again, this argument has been unsuccessful in a number of cases I have seen, on the grounds that it is open to the Home Office to decide which sub-paragraph to rely upon in any decision. See for example paragraph 59 of this decision. One additional advantage for the Home Office in relying on paragraph 322(5) rather than 322(1A) or 322(2) is that, in an administrative review, the applicant will generally be at an advantage with the evidence they can submit if they have been refused under paragraph 322(1A) or 322(2) rather than paragraph 322(5). In particular, following a refusal under paragraph 322(1A) or 322(2), an applicant may submit evidence proving that they did not practice deception in support of their administrative review. This is not the case for refusals relying on paragraph 322(5). That said, an applicant can always make the argument that the Secretary of State is, in effect, accusing them of deception and that they should be allowed to submit evidence to the contrary. Other points of criticisms include the fact that it is unfair for the Home Office to refuse applicants on the grounds of good character for issues with their tax affairs in cases where HMRC has known of the issues but decided not to punish them. I am personally not convinced by that argument: HMRC does not look at the character of a taxpayer, but rather at the public interest in encouraging people to pay taxes. If they were to punish those who did not pay taxes on time or the correct amount of tax, they would arguably discourage taxpayers from “coming clean”. Nor are judges convinced by this: I have seen judgments finding that a decision not to punish by HMRC is not proof that the Home Office’s decision to refuse was irrational (see eg paragraph 52 of this case). Another argument brought by practitioners is the fact that paragraph 322(5) is worded too vaguely for its effects to be foreseeable by applicants. A bold group challenge might aim at having paragraph 322(5) scratched all together or, more realistically, amended to be more specific. Finally, one could argue that the Home Office should not refuse applications on the basis of previous earnings which were not disputed in the past, and which allowed applicants to be granted further leave in the UK. I have not personally seen a judgment allowing or refusing a challenge on this basis. Clearly, the grounds of legal challenge can be many! But as we have seen, many have been unsuccessful to date. While waiting for a test case challenging the broad and semi-automatic use of paragraph 322(5), many applicants will continue to be disappointed. That said, not all cases are without merit, in particular where applicants have genuine explanations for their varying income (as with the example above), or where, all circumstances considered, it would be disproportionate to remove an individual because of tax discrepancies. One point to bear in mind is that not all applicants will have the same remedies available. Those who applied on the basis of five years’ residence as Tier 1 (General) migrants will usually only be given a right to an internal administrative review. Those who applied on the basis of ten years’ lawful residence are considered to have made a human rights application. That means they should get a right of appeal, unless their application is “certified as clearly unfounded”, in which case they may only have a right of appeal from outside the UK. If an applicant is only given a right to an administrative review, but believe they raised human rights arguments in their application, they may still ask the First-tier Tribunal to consider whether they have a right of appeal, as per the case of Saqib Zia Khan. Those whose application is certified may want to judicially review the certification, on the basis that it is “unlawful” or “irrational”. an appellant can submit up-to-date evidence to explain tax discrepancies, but also to show their family and private life in the UK, and that they are more generally of “good character”. With administrative review, the circumstances in which further evidence can be adduced are very limited. With human rights applications, section 117B of the Immigration Act 2014 says that, when deciding whether a decision to remove an appellant would breach that appellant’s right to private and family life in the UK, a tribunal should balance the public interest with the right of the appellant, taking into consideration factors such as knowledge of English and financial independence. For those with British children or children who have lived in the UK for seven years, section 117B(6) says that, where a person is not liable to deportation, the public interest does not require the person’s removal where the person has a genuine and subsisting parental relationship with these children. As I said in my last article, applicants may be asked to attend interviews after they have sent their applications. They might want to attend with a legal representative who can take notes on what was said and generally discourage any potentially harmful line of questioning by their mere presence in the room. 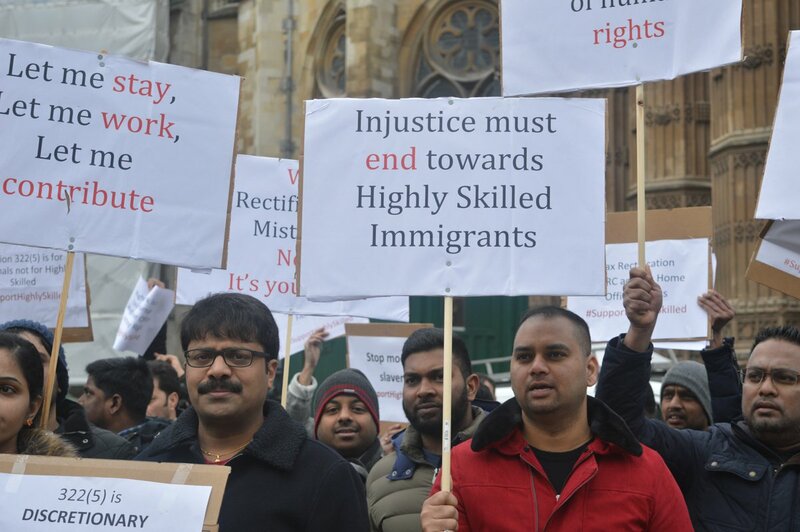 More generally, individuals may want to speak to Highly Skilled UK (highlyskilledmigrantsuk@gmail.com) or their MP (in particular if they are part of the groups pressuring the Home Office on this point) to be up to date on successful challenges or test cases.